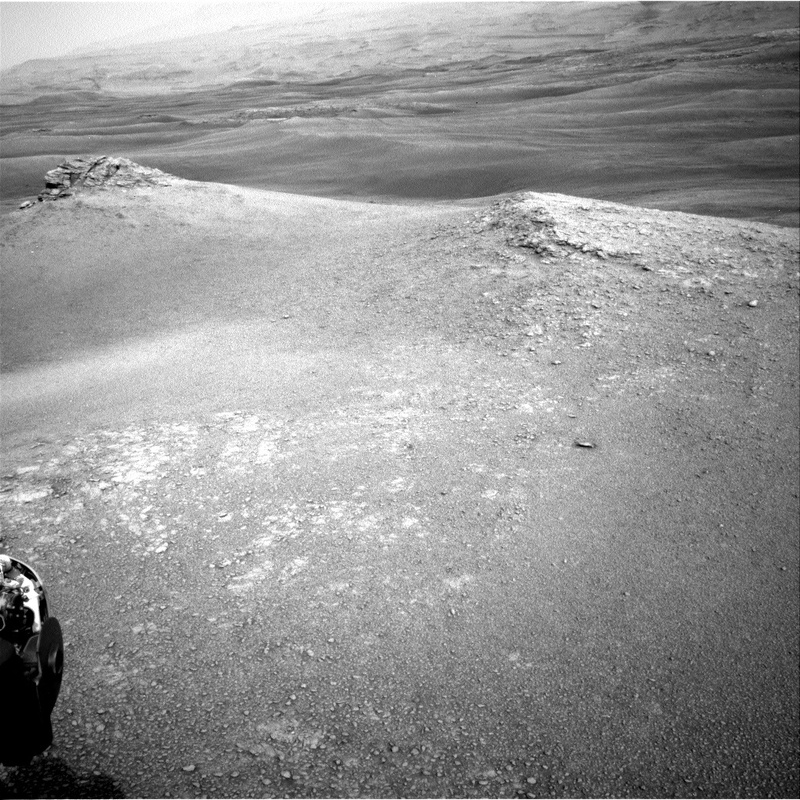 Today's plan found Curiosity solidly in new territory and the view couldn't be more different than the patchy bedrock of the Vera Rubin Ridge. The workspace for the next two sols of planning consisted of fine grained materials with coarser clasts interspersed. In this plan, despite being power limited resulting in a relatively short science block, the science team managed to squeeze in some important activities to start characterizing the clay-bearing unit. These activities included a ChemCam on a target dubbed "Cyrus" to characterize the limited bedrock in the scene, Mastcam documentation images, several Mastcam mosaics and a long distance RMI to help characterize the Greenheugh pediment visible in the distance. Despite being power limited, the team also added a contact science target to obtain chemistry of the bedrock exposed in the region. APXS and MAHLI observations were planned on the target dubbed "St. Fergus". Following these activities, the rover will drive about 15 meters, positioning itself near the top of one of the small ridges, giving a nice vantage of the terrain ahead. As Curiosity begins to explore the clay-bearing unit, it's certain that new discoveries lie ahead.